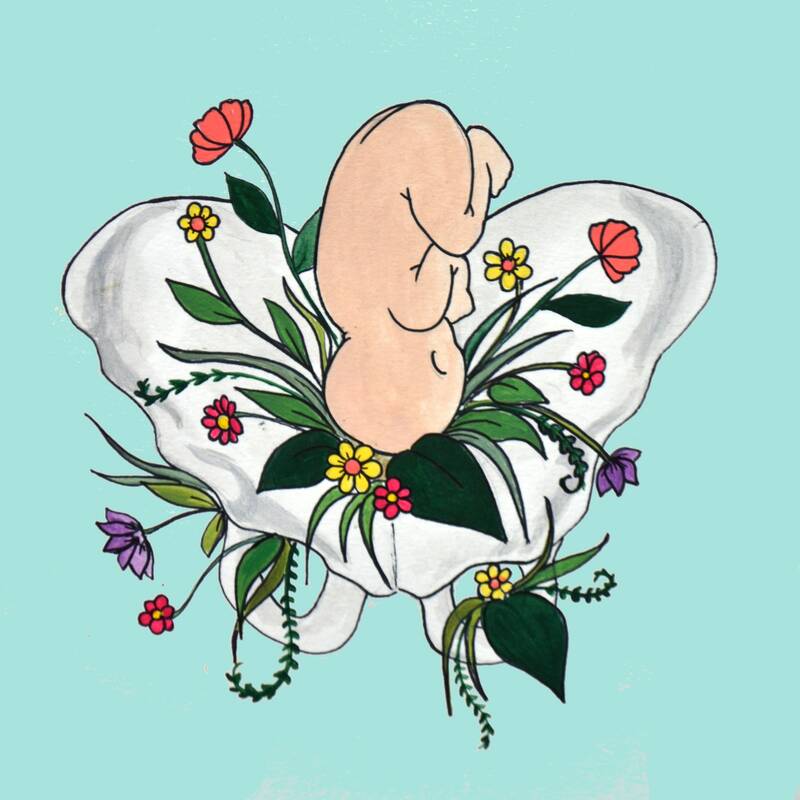 JUNGLE- this colorful art print celebrates the beautiful anatomy of the birthing female body. You will receive an 8" x 8" print, printed on high quality acid-free paper. Original painted by me (Catie Atkinson) in acrylic and permanent marker. Shipped in a protective mailing prevent bending. *Please Note: If you are purchasing this item from outside the US, please be aware that you may be charged an extra customs fee by your country in order to receive your package. Unfortunately I cannot predict nor prevent which packages will be stopped in customs and charged a fee. If you would prefer a digital copy of this print, please see the "Digital Prints" section in my shop, which will allow you to download and print this image in your home country to avoid shipping fees and potential customs fees.